One of the most understudied yet serious threats to our ocean drew hundreds of marine scientists to Hobart Australia last week. The 4th International Oceans in a High-CO2 World Symposium put the issue of ocean acidification under the microscope to share knowledge and findings about the impacts of acidification to our oceans’ health and biodiversity. The first one held in the Southern Hemisphere, the symposium convenes every 4 years. 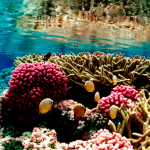 Ocean acidification is an increasingly hot topic in marine science, where the ocean absorbs increasing amounts of carbon dioxide from the atmosphere. Some key research concerns are the impacts to coral, including decreases in some areas of coral cover on the Great Barrier Reef, and impacts to shellfish and other economically important fisheries in colder water locations that store more CO2. Scientists are also exploring impacts in the Arctic and Antarctic. One of the topics was the impact of ocean acidification on food security. Fishing is a critical part of the world’s food supply and economic livelihood. Healthy oceans and coasts are an especially critical meal ticket in many developing countries. Fisheries worldwide are being threatened by nuisance or invasive species that can decimate fish and shellfish populations. Many notorious nuisance species - such as Japanese kelp and stinging jellyfish – are resilient to rising CO2 levels. Climate change resulting in seawater chemistry may be aiding and abetting the spread of hundreds of these damaging marine villains. Ocean acidification is helping invasive species of algae, jellyfish, crabs and others flourish. These hardy hell-raisers may be the winners in the game for survival and habitat takeover versus native species in many areas. Jellyfish, especially, can spread in massive “blooms,” which have wiped out billions of dollars in earnings from fishing over the last few decades. One species that’s primed to proliferate in the more acidic ocean waters is the so-called ‘killer algae,” which already is spreading worldwide. The algae is so toxic that native plant-eating creatures will die of starvation rather than eat it. Acidification can also benefit invasive marine plants such as sea grasses that can take over in sensitive habitats. Even fish farming can be fatally affected. Entire stocks of salmon have been killed in Atlantic fishing farm from massive swarms of venomous jellyfish. Other winners in the boosted-CO2 oceans are what humans consider nuisances, particularly certain organisms that attach themselves to ships’ hulls and rock, known as the “biofouling community.” This isn’t necessarily bad news for sea life which rely on these biofoulers as food sources, but it’s painful to our pocketbooks – removing them costs about $22 billion each year. An often overlooked impact of ocean acidification is high nutrients and low oxygen levels in coastal areas. Research has show this can lead to higher toxicity and destructive red tide and brown tide types of algal blooms. 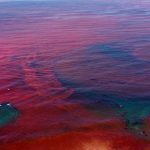 These occurrences happen when colonies of sea algae grow out of control and endanger people, fish, shellfish, marine mammals, and birds with toxic effects, sometimes even fatal. In many ways, the proliferation of invasive species can be the sign of an ecosystem in trouble. While other ocean ecology issues can lead to increases in invasive species, the risk from ocean acidification is gaining more attention and deserves more research to help us mitigate the mischief.